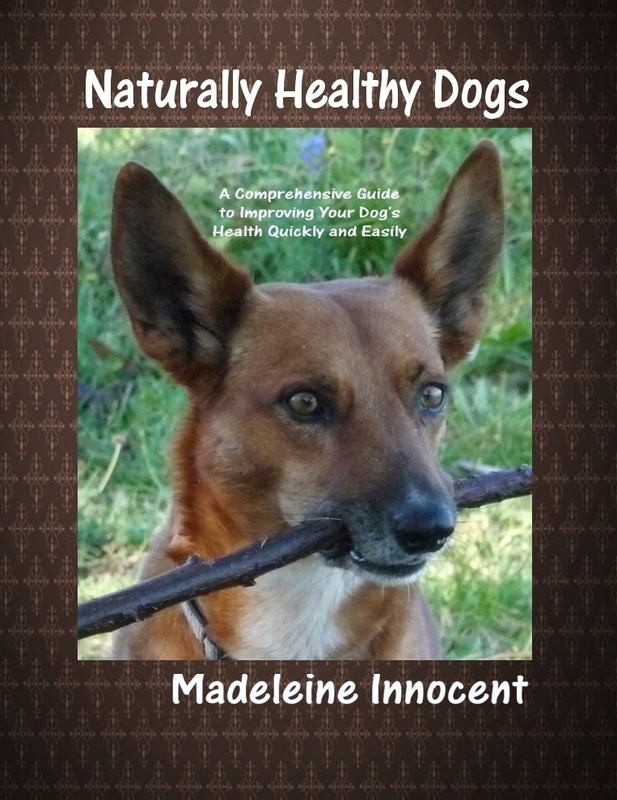 Today’s guest author comes from No Dog About It, with excellent advice about catching a loose dog. The truth is it can be pretty hard to go against the instinct to chase a loose dog, but we really must learn to so, because when we chase we risk putting ourselves and the loose pet in danger. This past week, a lost dog was lost forever when a good samaritan gave chase. The person was only trying to help. They saw a lost dog and wanted to reunite him with his owners, but in giving chase, they put Marty in more danger and sadly, he was hit by a car and killed. I cannot imagine how the person chasing him must have felt. One never expects to do a good deed and end up feeling like they did the opposite. I feel badly for both Marty’s family and the good samaritan. How could the person chasing Marty know what would happen? He/She was doing what was instinctual. But what is instinctual is exactly what is most likely to put the dog in more danger. Stop, drop and lie down – It might sound silly, but dogs find the behavior odd. When you don’t give chase and instead lie down and lie still, a dog will get curious and will often come back to see if you are okay or to see what you are doing. Stop, drop, and curl into a ball – This is also a curious behavior for a dog. Because you are not moving and your hands are closely wrapped around your head, they see you as less of a threat and will come to check you out. This gives them a chance to sniff you and realize it’s you, their owner, or to allow you to pet them and grab their collar. Run in the opposite direction – What? Run away from the dog? That’s right. Some dogs love a good chase. Instead of you chasing them, let them chase you. 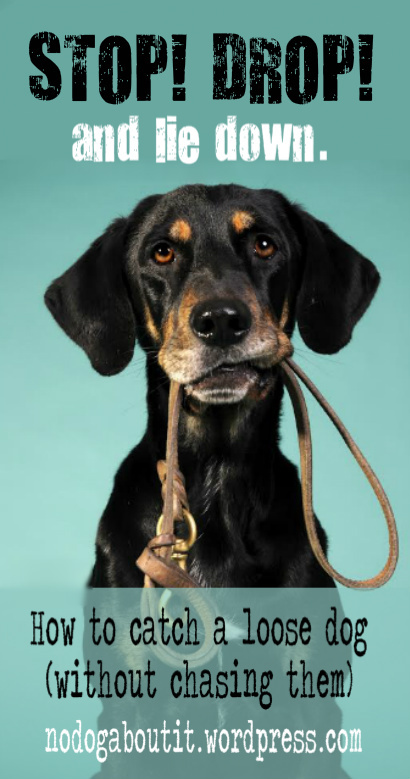 Even if the dog is not up for a good chase, he may be curious about your odd behavior and follow along until you can get him into a building or car or someplace where it is easier to corral him. Sit down with your back or side to the dog and wait – Again, dogs are thrown off by this odd behavior and will become curious and approach. The other advantage is that by sitting down with your side or back to them, you appear less threatening and they are more likely to approach. If you have good treats, place a few around you to draw them near. Open a car door and ask the dog if she wants to go for a ride – It almost seems too simplistic and silly to be true, but many a dog has been fooled into hopping into a car because they were invited to go for a ride. It makes sense, especially if the dog has learned to associate the car with good things (e.g., the dog park). Although it is no guarantee, I can tell you that I have seen nearly every one of these work with one of our shelter dogs. The key is to fight your instinct to chase the dog and do something that is not as instinctual. Instead, do what seems counter-intuitive to both you and the dog. Have you had luck catching a loose dog doing something counter-intuitive? Please share your own experience. I would love to learn from you too. My condolences go out to Marty’s family and the person who tried to help. May what happened to Marty be a an inspiration and reminder to us all so we can help reunite other lost dogs and their owners in his name. Note: If you are chasing down a dog that has been lost for a few days or more, then I would recommend your read my other post “Why your lost dog may not run back to you” for more tips on how to capture a lost dog. 1 Response to "Loose Dog? Don’t chase! Stop, Drop and Lie Down"
Yes, same thing happened to me when I was walking my newly adopted one year old mixed poodle/terrier. Somehow, his leash slipped from my hand and he started running away, I called for him and ran after him. When I stopped, he also stopped and looked at me, when I started approaching him, he started running again. I stopped, he stopped. It became a game of chase for him. One of our neighbors saw I was getting frustrated, he said to me not to run. So when my dog was looking a me, waiting for me to chase him, I just sat on the sidewalk pretending to ignore him..viola! He started walking towards me slowly…got him! Thought he can outsmart me, lol!